Union Square, San Francisco, CA. You are invited to join Rabbi Yosef Langer and Chabad of San Francisco for a special lighting of the The Bill Graham Menorah at Union Square. 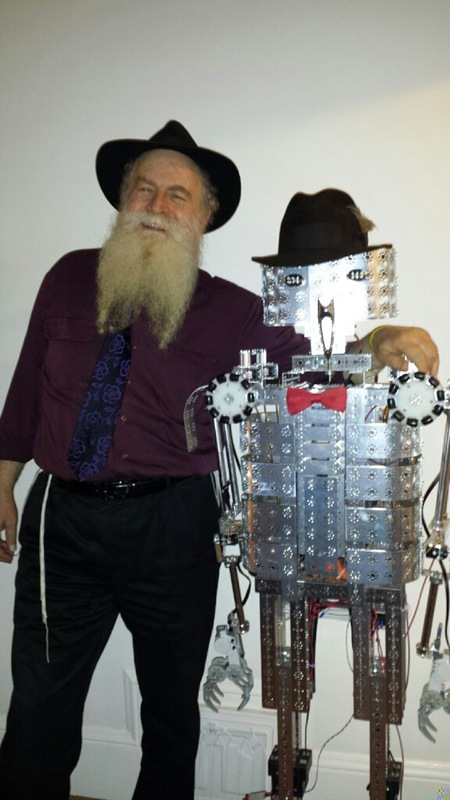 On Tuesday Dec 3, the ritual will include a robot: "Isaac" (*), for an unorthodox combination of symbol and cyborg. (*) designed by David Calkins and named after Isaac Asimov.